There are dozens of amazing golf courses within a train, car, bus or ferry ride from the heart of Manhattan, but since many people living in the NYC area rely on their MetroCard and don’t have a car, we pulled together a list of three public golf courses that are accessible by Subway and Subway alone. A few notes on our list: the courses are all located within a 5 minute walk or taxi ride from the Subway stop and our estimated Subway time is from Penn Station in Manhattan. 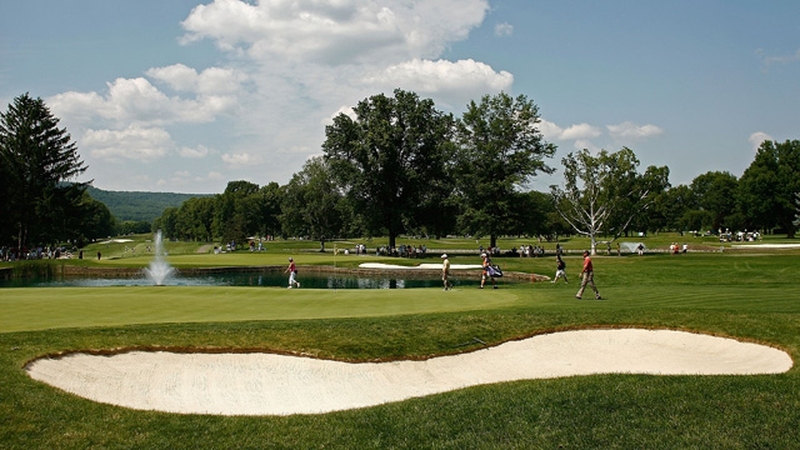 Now round up some friends and plan a NYC golf getaway. Celebrating it’s 120th anniversary in 2015, Van Cortlandt Park, in the North Bronx close to the Yonkers border, is the oldest public golf course in the United States. Under new management, Van Cortlandt features seven new greens, new tee boxes, additional cart paths, improved bunkers, and dramatically improved drainage. The cost of these improvements approximates one and a half million dollars. The architect in charge of this renovation is Stephen Kay. This golf course, situated in a park-like setting, is the perfect escape from the hustle and bustle of NYC without ever having to leave the City. Located in the southwest corner of Brooklyn, just below the Verrazano Bridge and across from the Atlantic Ocean, Dyker Beach Golf Course offers both exhilarating play and extraordinary event services. This 6,438-yard par 72 course was originally designed by Tom Bendelow in 1897, then redesigned by Jon Van Kleek in 1935. A slice of waterside history, Dyker Beach continues to offer a challenging and enjoyable course. Situated in Pelham Bay Park, New York City’s largest park, Pelham Bay and Split Rock Golf Courses comprise New York City’s only 36-hole golf facility. Located just a few miles from bridges connecting Long Island and New Jersey to the Bronx, clocking in at a mere 45 minutes from Downtown Manhattan, Pelham Bay and Split Rock are easily accessible from all five boroughs, drawing golfers from the heart of the city as well as the surrounding suburban counties.